Cosmos is probably one of the most overlooked speculative fiction markets in Australia – which is crazycakes, as it’s also our only pro-paying outlet for short fiction. This popular science magazine features one short story per issue, and until recently has been pretty short on Australian contributors. The February/March 2011 issue is the first to feature a piece selected by new editor Cat Sparks, who has taken over from Damien Broderick. Sparks is known in Australia for her many years in the coal mines of small press, as the editor and publisher of the acclaimed Agog! series of anthologies, and she returns to editing here after a long absence. It’s to be hoped that her indie cred and inside knowledge of the spec fic community will lead to some interesting creative choices. First up is “Breaking the Ice,” by Thoraiya Dyer, an up and coming writer who produced a couple of my favourite stories from last year: “Yowie” and “The Company Articles of Edward Teach.” This piece is a bleak adventure of iceberg piracy set in a not-so-far-off future where the Antarctic is melting and some desperate countries may be hurrying that melt along for only short term gains. I liked this piece a lot, though I was overly distracted by the possibility that the male protagonist might be a girl in disguise. He wasn’t. I really need to pay more attention to the story on the page rather than the one in my head! This entry was posted in Uncategorized and tagged cat sparks, cosmos magazine, thoraiya dyer. Bookmark the permalink. Too much Edward Teach for you! I was wondering if anyone produced a listing of spec-fic markets for Australian writers? I seem to recall that the Specusphere did this? But it’s been so long since I sent stories anywhere on spec, I may be completely out of touch. Thanks Tansy. I think its the second time I have heard mention that Australian writers are not taking advantage of the opportunities out there – did Jonathan and Gary mention Clarkesworld as another under utilized option? Being relatively new to the SpecFic (apologies Jonathan) community, I am still finding my way as a reader/reviewer to be one of stumbling across great resources like Galactic Suburbia and Coode Street which lead me on to other writers and community ‘pockets’. 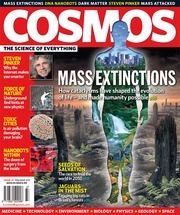 So I wonder if Cosmos being underutilized is a result of a fragmented/organically devloped community? But yes, I suspect that Cat will draw in subs from more people “in the community” just because they’ve met her at cons. Though I thought it interesting when she was interviewed on the Ripping Ozzie Reads blog that she mentioned how disappointing the response from Australian writers were, and the comments just filled up with… writers coming up with excuses why they didn’t submit!